The Sport-Tek® Youth Mineral Freeze Tee Style YST330 is available in Youth Sizes: XS-XL and it comes the following colors: Black, Dark Smoke Grey, Deep Red, Lime Shock, Pink Raspberry, True Navy, and True Royal. SKU: SM-YST330 Categories: Activewear, T-Shirts, Youth, Youth Active Wear, Youth Clothing, Girls Youth T-Shirts, Boys Youth T-shirts Tags: boys t-shirts, girls t-shirts, youth activewear, youth clothing, youth t-shirts Brands: Sport-Tek. The Sport-Tek® Youth Mineral Freeze Tee Style YST330 is available in Youth Sizes: XS-XL and comes in the following colors: Black, Dark Smoke Grey, Deep Red, Lime Shock, Pink Raspberry, True Navy, and True Royal. 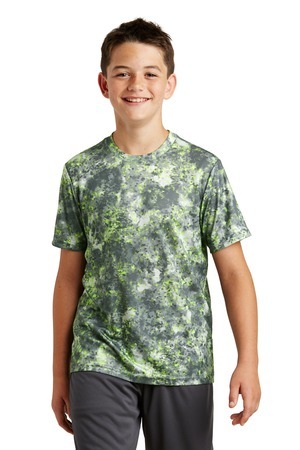 Be the first to review “Sport-Tek® Youth Mineral Freeze Tee Style YST330” Click here to cancel reply.